Air Conditioning Installation, Lakeland, FL | Johnson's Mechanical Inc. Air Conditioning Installation, Lakeland, FL | Johnson's Mechanical Inc.
We have been serving Lakeland homes and business with air conditioning installation since 1982. Air conditioning is important to homeowners and business owners throughout the country, but this system is especially critical when you live in an area with hot and humid weather throughout much of the year. Here in Lakeland, Florida, our climate fits this description, so going without air conditioning is basically impossible. When your AC isn’t working properly, you could end up with high temperatures that make your home feel sweltering and very uncomfortable. A central air conditioning system also helps keep the moisture levels under control, so without a functional unit, the space could get humid. Too much moisture can cause damage to flooring, drywall, furniture, electronics, and other possessions. Has your air conditioner finally stopped working, and you are miserable day and night? Do you need an experienced company to complete air conditioning installation, but you aren’t sure who to call? 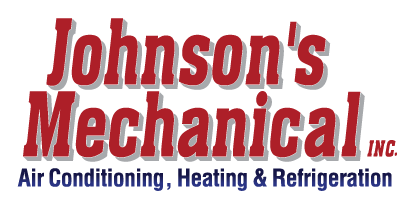 At Johnson’s Mechanical Inc., we have been serving Lakeland homes and business with air conditioning installation since 1982. We firmly believe you will see the difference when you choose our company for all your air conditioning needs. HVAC Repairs – If you are having air conditioning problems, we aren’t going to try to sell you a new unit right away. We’ll look at your system and see if we can provide fast, reliable repairs to get your current system operational again. We service all major brands regardless of where you purchased your unit. Expert Recommendations – When your current air conditioning unit just won’t work, we can recommend a new unit based on the size of your space and your budget. It’s important to have an experienced team who knows what will work best for you! Air Conditioning Installation – Once you’ve selected the perfect HVAC system for your home or office, we provide professional air conditioning installation to get your home or office cool again. Our mission is to provide quality and professional services that leave our customers 100% satisfied. When you have an AC problem, you may notice a few warning signs before it gives out completely. These could include weak airflow, warm air coming through the vents when the system is set to cool, strange sounds coming from your unit, or unpleasant odors. If you notice any of these warning signs, contact our HVAC technicians as soon as possible. If we can catch the problem early, we may be able to perform a repair instead of having to replace the system altogether. However, if your unit is more than 10-15 years old or has reached the end of its lifespan, our technicians can perform the air conditioning installation to get your building cool and comfortable again. Once you’ve worked with our team at Johnson’s Mechanical, Inc., you will never make another phone call to someone else for air conditioning services, repairs, or installation for your Lakeland, Florida home or business. If you have questions about your HVAC unit, or if you would like to schedule service with us, we are available to assist you. We even offer 24/7 emergency service to keep your home cool. Contact us today! We look forward to serving you!